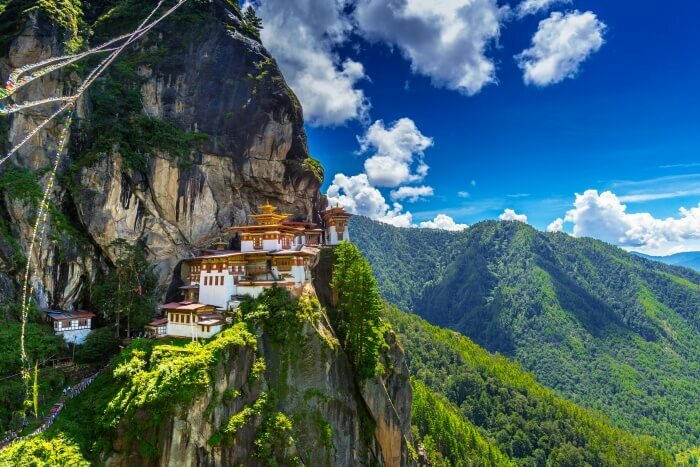 Bhutan is a Buddhist kingdom, resting in the lap of mighty Himalayan ranges. Known all over for its monasteries and forts, don’t be fooled that this is all there that you will experience. 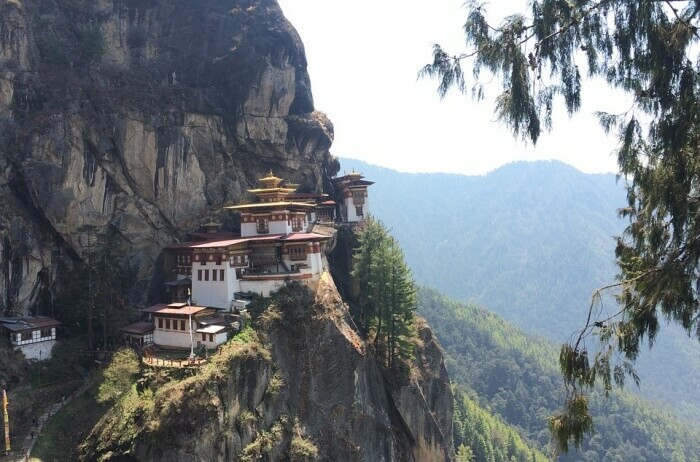 Bhutan is a heady mix of an old soul and new generation, all fusing seamlessly. 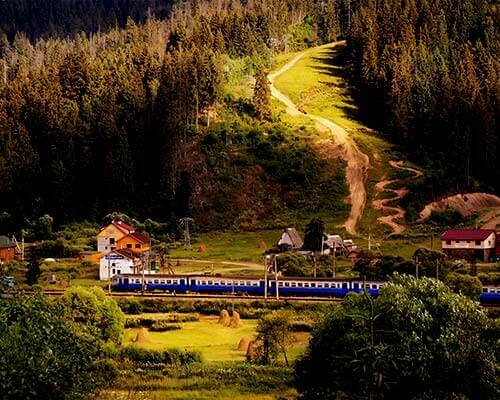 The country is very different from any you have probably visited. With an index for measuring Gross National Happiness and over 70% forest cover, makes it stand apart from every other country.Bhutan’s pristine forests, surreal monasteries and forts, and the great Himalayas in the background, make for a perfect postcard scene. 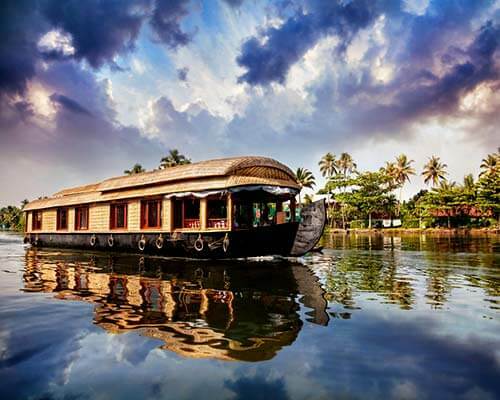 Its picturesque views are going to leave you spellbound. There are various photography places in Bhutan that you must explore. 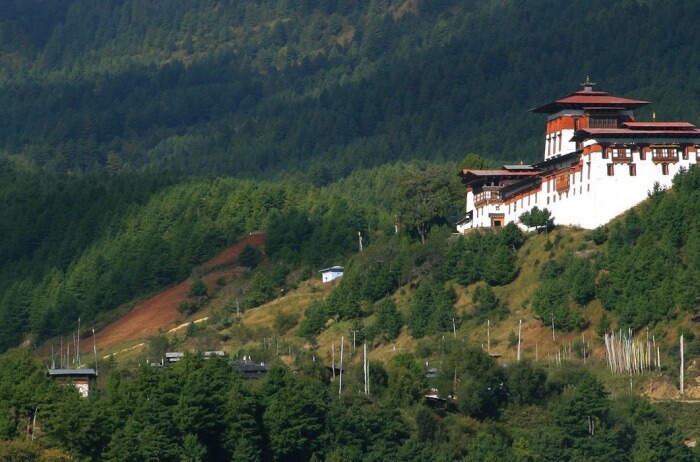 With breathtaking vistas and various tourist attractions, there are numerous places in Bhutan that you’d love clicking. Some of the best ones are listed below! Have a look! Dzongs or forts are an integral part of the inherent culture of Bhutan. They are home to the many political, religious and cultural affairs of the state. 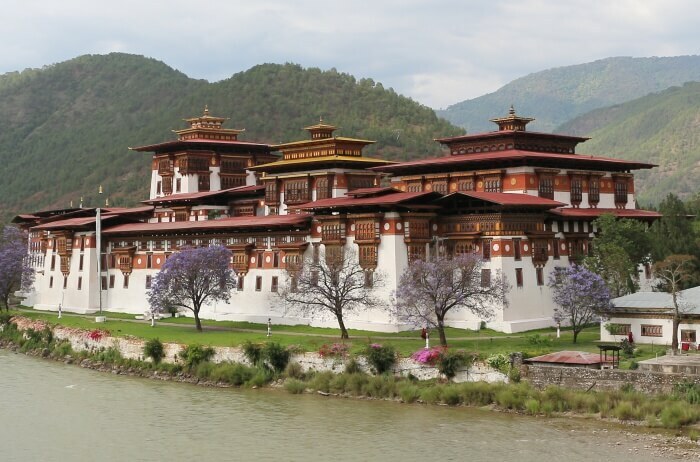 One of the most important and picturesque of them all is Punakha Dzong. 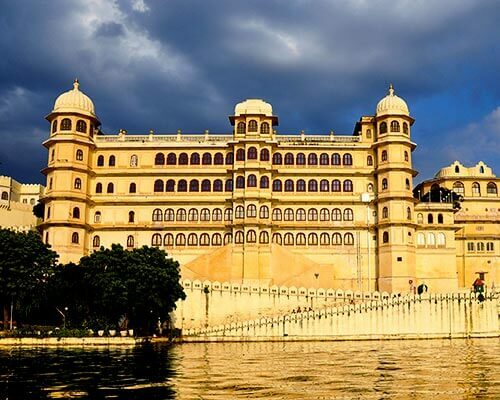 It was constructed on the point of merging of two rivers, during the 1600s. 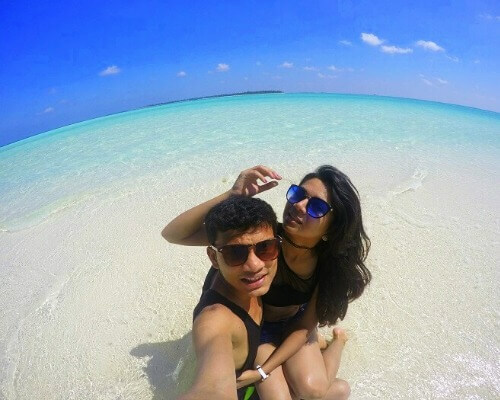 Accessible through a hanging bridge over the crystal blue water, this place has a picture perfect background in every corner. Though keep in mind, cameras can be used only outside the temple. Mo Chhu translates to river water in the native language. 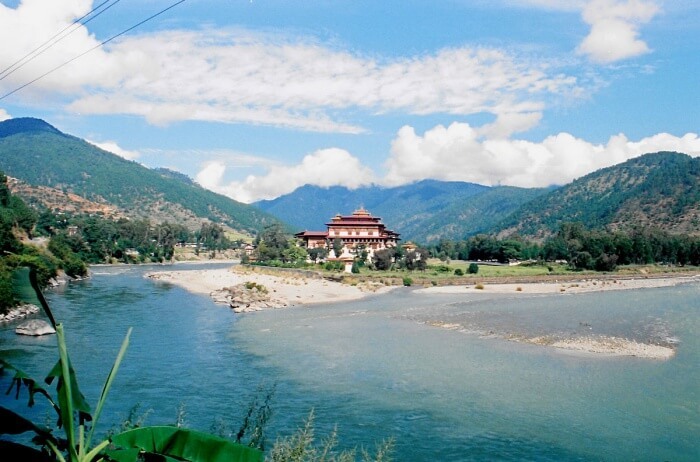 Starting from the border of Bhutan and Tiber the river flows eloquently through the country. Now imagine a stretch of blue water, shrouded by greenery and white hills in the backdrop all contributing to a magical, serene vibe. Could you imagine a better setting for your perfect pictures? We can’t either. So rush to this beautiful river bank that is one of the best photography places in Bhutan and delve into the natural beauty and let it heal you. Taking pictures is given, though. 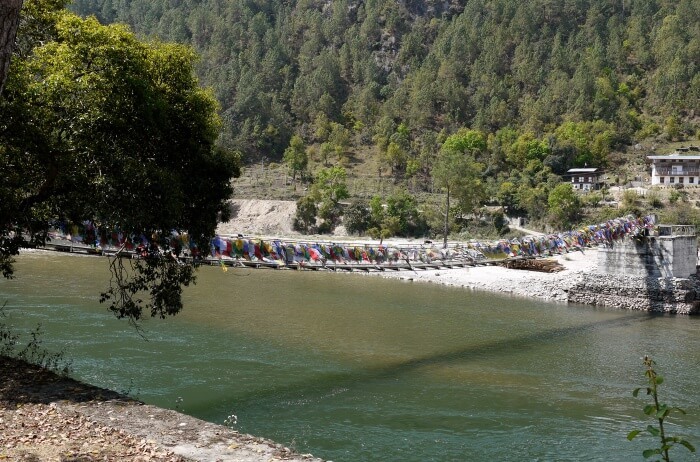 Located high above the Punakha Valley, this temple or shrine was built only in the year 2004. It is a brilliant example of the deep rooted culture and heritage of the people of Bhutan. It was built at the orders of Queen Mother, not an institution of religion or monarchy, but as a magical place. The shrine is since used by devotees to ward off any kind of negativity from life, and the importance of peace is preached here. The intricate structure is based on the principals of Holy Scripture rather than those of engineering. It includes a bridge, scenic views from the terrace, well-maintained gardens and Buddhist shrine rooms. If you are looking for inner peace, along with some pristine views, don’t wait up to go there. Connecting the two very important towns of Bhutan, Thimphu, and Punakha is the Dochula Pass. The pass gives way to some of the most surreal views of the mountain range and forms a beautiful skyline. One can easily witness the highest peak of Bhutan, known as the Gangkar Punsum, with a height of 24,816 feet. There are two major tourist attractions on this pass; one being a monastery and another is the 108 memorial stupas. 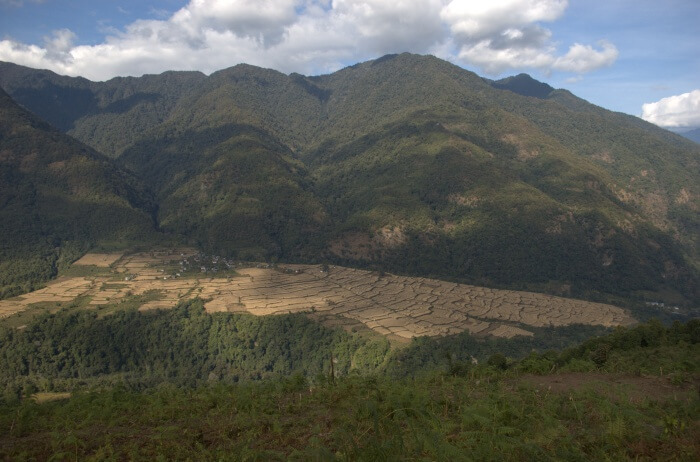 The transforming landscapes over here such as the pine forests, dwarf bamboos, and hill slopes are the most beautiful photography places in Bhutan. 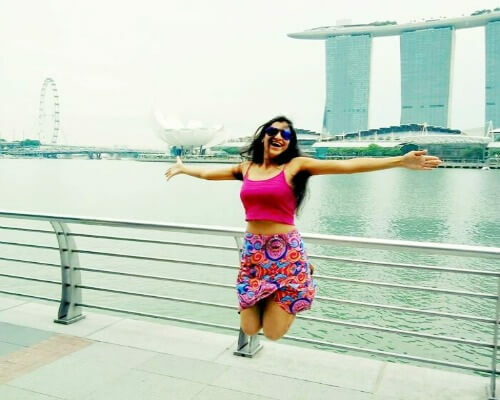 You just need to have a camera while you travel over here and you’ll get ample of good sights to say cheese and pose in the most surreal environment. 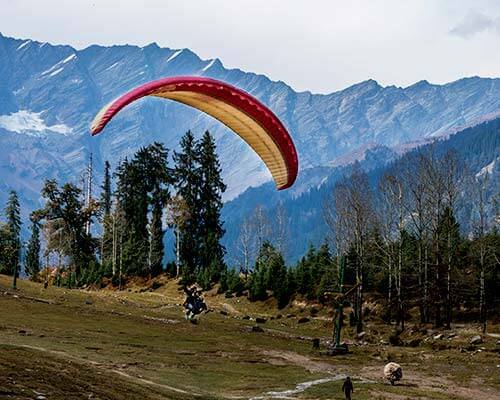 The panorama of the great Himalayan peaks also makes it an excellent destination for photography enthusiasts. An authentic farmhouse, it is located close to the famous Punakha Dzong near the river Mo Chhu. It was built by Je Kempo to supervise the surrounding fields and gardens. The luxury residence is a three-story structure, with 16 suites all made to suit the requirements of the visitors. There is also an authentic prayer room with the altar. The place has a regal touch to it, which can be witnessed in every nook and corner. Though the whole place is picture perfect, the most photographed area of the place, it is a courtyard. The open lawn has some beautiful trees and views, where can sit to enjoy their meal or simple capture something for Instagram. 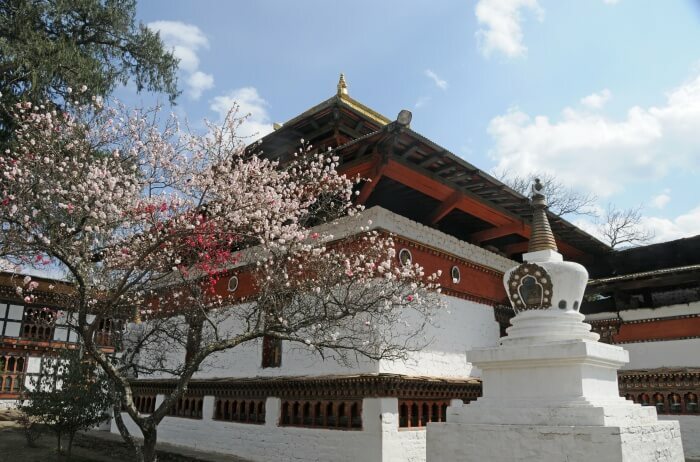 Kyichu Lhakhang is a very old and famous temple situated in the north of Paro Town. Considered as the sacred symbol of Bhutan it was built in the seventh century, as a part of the 108 temples made in a definite pattern. It was made by Buddhist King Songsten Gampo, in order to promote and preach their religion. One can find many portraits and statues of the deities, where people come to worship. The visitors are mostly elderly natives, going about their religious practices and completing the circle around the complex. The hall adjacent to the temple has 108 butter candles lit by the devotees, which makes for a magnificent sight. Also, the outside of the temple has many beautiful trees and monk houses adding to the aesthetic beauty. Located in the northern part of town Paro is this marvel. It is a religious site of Buddhists cut deep into the granite cliffside. It was constructed in the year 1692 as a sacred place for meditation. There is a very common legend attached to the place, that Guru Padmasambhava or the second Buddha came to meditate here on a flying tiger, therefore giving the place its name. It takes a difficult trek of about 2-3 hours to reach that place, but those who do, have the privilege to experience something surreal. 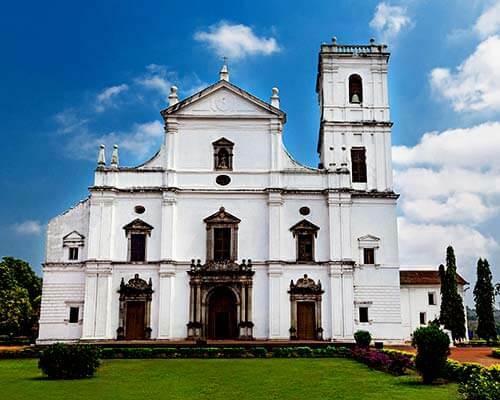 You can go on an early morning stroll to this famous pilgrimage site and capture some of the best locations over here. The monastery whitewashed with snow over here is also an admirable site for clicking great photographs. The views of the hills, the valley, and the overflowing river are sure to get you some perfect shots. Gangtey Goemba or Gangteng Monastery is the renowned and recently renovated temple complex. Perched on top of a beautiful hilltop, in the Phobjikha Valley, the place is known for its pristine, breathtaking views. 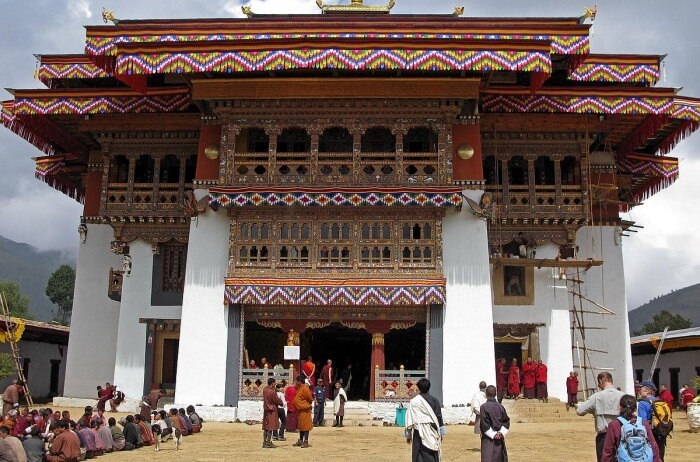 Though it is recently renovated, the monastery is Bhutan’s oldest monasteries. The renovation required the most famous sculptors, and artists and results have turned out to be legendary. The eye capturing the detail of this place dissolves you in its absolute beauty. 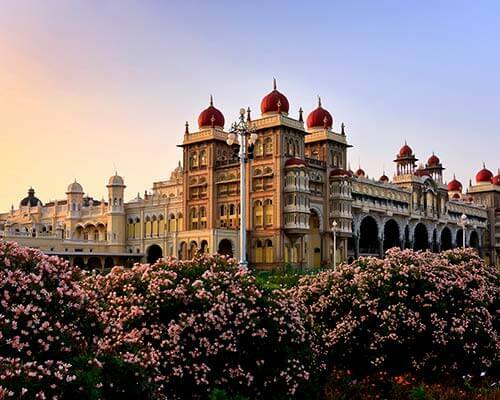 The central goemba in the most scintillating green expanse fills your heart with the true admiration for this place. It is a dream location for every photographer who wants to capture the true essence of Bhutan. 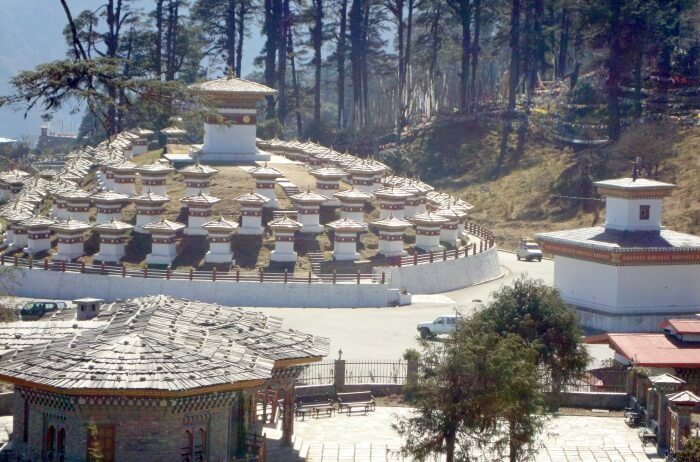 Bumthang is a cluster of four valleys, namely Tang, Chhume, Ura and Shekhar. 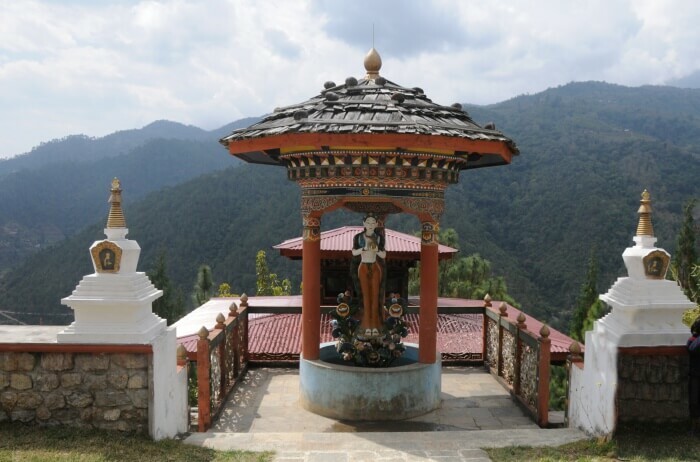 Bumthang is very famous for the picturesque views and endless possibilities that can easily satisfy the thirst for adventure and spontaneity. 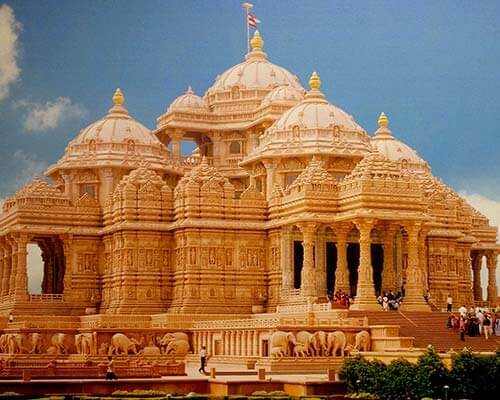 It is also a spiritual hub since it contains many important temples and monasteries. 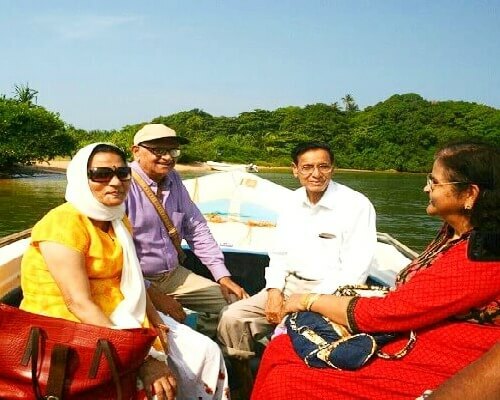 The natural sceneries spread over here will conquer your heart to have an expedition with nature that exists in an unadulterated form over here. You can explore the spectacular valleys, dzongs and ancient temples over here that will give you an other-worldly experience. Capture the natural landscape over here and take home some of the best memories of your life. 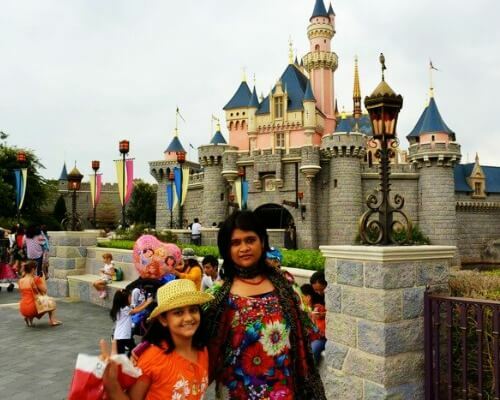 Though it might take you a few days to explore it completely, it is surely worth the time you spend over here. 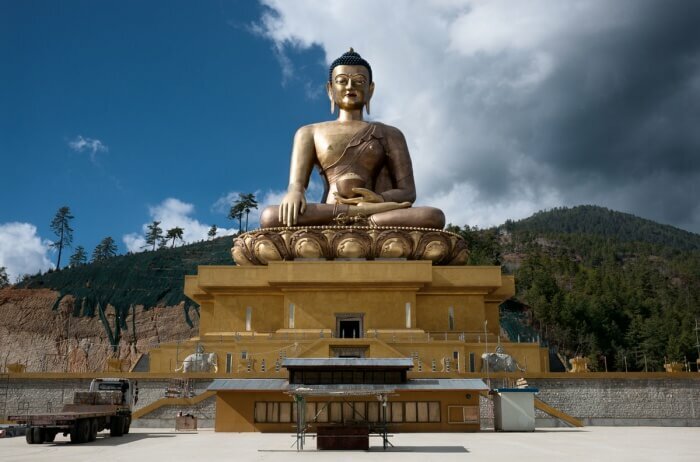 Buddha Dordenma is a cultural and artistic masterpiece, residing in the heart of Bhutan in the city of Thimphu. It is a gigantic statue of Buddha and measures 50 meters in height. Made up of bronze, this statue can be seen from all around. On the top of the statue is a meditation hall for which the statue was primarily built; the cultivation of tranquillity and mental peace. 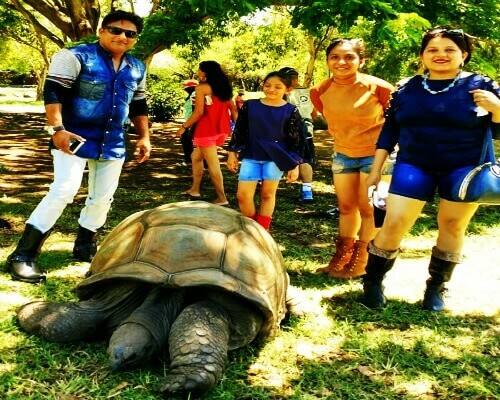 It is a must go, if you are visiting the country for the first time. Are you looking for a unique photography experience in Bhutan? The landscape and wildlife photography opportunity that Jigme Singye national park provides you are totally unrealistic. 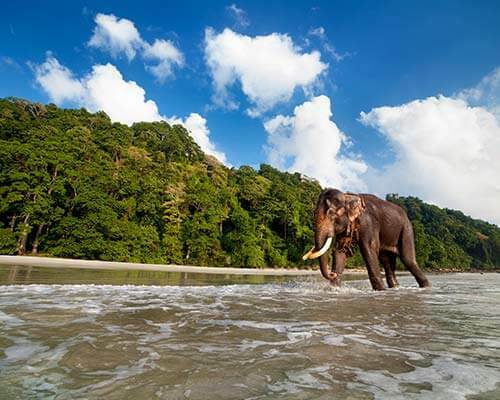 The diverse fauna over here like red panda, golden langur, Asiatic elephants, tigers, and musk deer make this place ethereal and a wonderful spot for wildlife photographers. 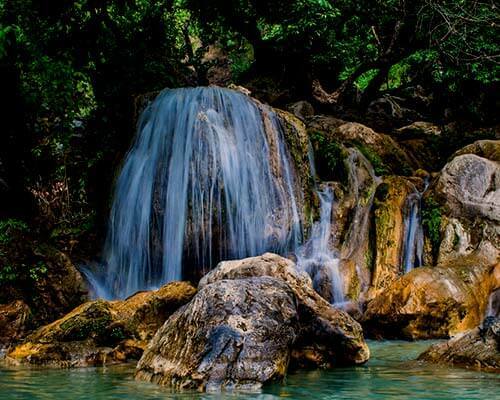 This national park borders 30 wonderful villages and is the home to the oldest founding tribes known as the Olyeps. You can take perfect shots over here while trekking towards the alpine meadows and luscious snow mountains. You can click the most candid photographs over here as the Buddha statues act a nice backdrop over here unfolding the mysteries of this place. This 51.5 meters statue reflects the true essence of Buddhist religion and encaptures your soul in its purity. 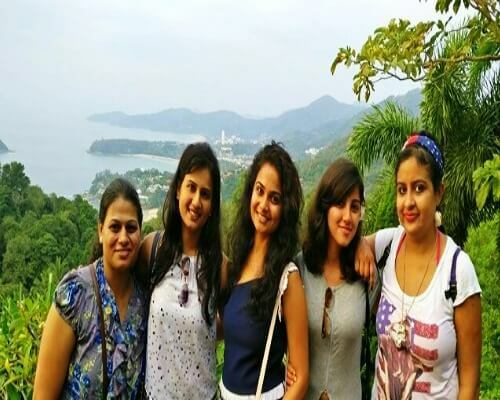 People across the world come over here to click picture perfect photographs that give them a remembrance of the pristine beauty and intricate surroundings over here. The most exciting thing about this place which most people don’t know is that when you view at the statue, you don’t look at Buddha but at 125000 statues of them. 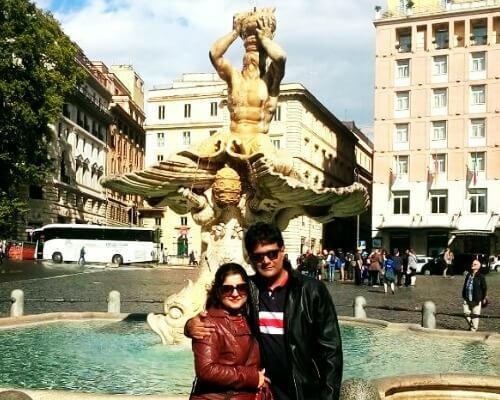 So you can’t leave this place without an astounding click.